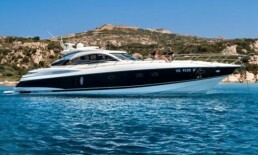 Brokerage with Ibiyachts! 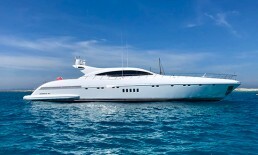 Purchase or sell a yacht! 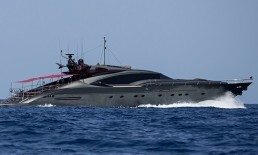 Exclusive yachts are our passion! 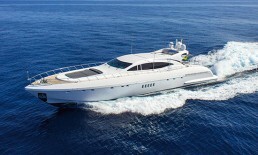 You want to buy or sell a motor yacht? 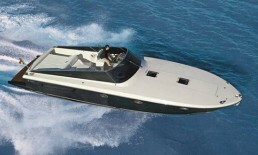 Ibiyachts advises and guides you every step of the way to find the right boat for you at the right price. With more than 15 years of experience, we are at your side with great personal commitment, professional service and attention to detail. 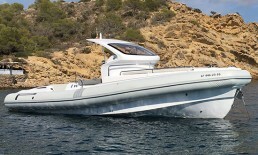 Please find below an excellent range of new and pre-owned yachts from our portfolio, most of them located in the Balearic Islands. If you are looking for something specific or would like us to keep you updated with suitable yachts when they become available, please let us know your requirements. We will find exactly what you are looking for through our network of partners in and outside Europe as well as through our direct contacts to leasing companies and banks. Year: 2009 Length: 23,00 m.
Year: 2006 Length: 20,82 m.
Year: 2001 Length: 19,51 m.
Year: 2018 Length: 18,94 m.
Year: 2004 Length: 17,86 m.
Year: 2018 Length: 17,27 m.
Year: 2000 Length: 16,80 m.
Year: 2007 Length: 16,00 m.
Year: 2009 Length: 12,50 m.
Year: 2007 Length: 12,40 m.
Year: 2009 Length: 12,25 m.
Year: 2004 Length: 11,60 m.
Year: 2016 Length: 11,37 m.
Year: 1992 Length: 11,18 m.
Year: 2015 Length: 9,95 m.
Year: 2003 Length: 36,50 m.
Year: 2002 Length: 33,48 m.
Year: 2004 Length: 32,00 m.